This composition merges ancient concepts with innovative contemporary art designs and incorporates a common Chippewa motif. 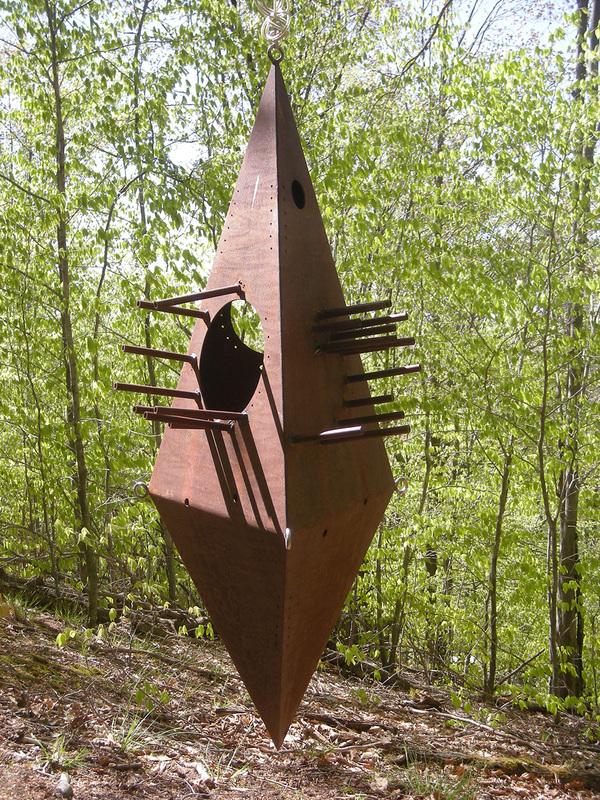 A diamond-shaped box made of steel marks the centerpiece of the sculpture. 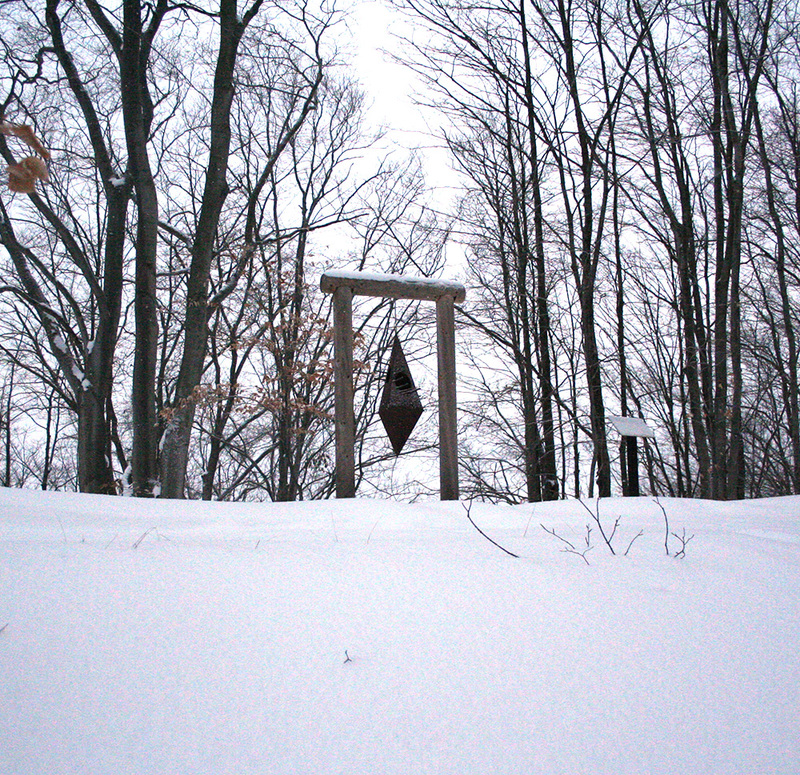 Nestled in a tree, Singing Tree uses the wind (as well as viewer’s interaction) to release its simple, mournful chime.